Programs for all ages and skill levels. Here is the Winter 2017 Line-up. Check out the PROGRAMS page for more info! Ages 6-12 Sundays 10:15 am - 11:30 am (8 weeks) - Designed to introduce boys to Volleyball but our program is open to both boys and girls. 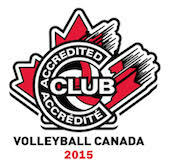 This program is intended for athletes playing volleyball at an intermediate to advanced or School Team level but are not playing competitive club volleyball.